Hey guys, you must have heard people saying "yeah I have AB+ blood group" or " I have the rarest blood group O-" and any sort of these dialogues. But do you actually know what the true meaning of the term Blood Group is. Blood Group is nothing but the type of antibodies and antigens present or absent in your RBC ( Red Blood Cells ). Antigens are located on the surface of your RBC and antibodies in the plasma. It is this combination of antigens and antibodies which decide which blood group you belong to. You inherit these combinations from your parents. But this does not mean that you will have exactly same blood group as your parents. Earlier the transfusion of blood from one person to the other would lead to deaths due to incorrect transfer.It was not until 1901, when the Austrian, Karl Land Steiner discovered human blood groups that blood transfusion became safer. Mixing blood from two individuals can lead to blood clumping and agglutination. The dumped red cells can release toxins and cause toxic reactions. This can have fatal consequences. Karl Land Steiner discovered that blood clumping is an immunological reaction which occurs when the receiver of the blood transfusion has antibodies against the donor blood cells. Karl Land Steiner's work made it possible to determine blood groups and thus made the way for blood transfusions to be carried out safely. For this discovery Karl was also awarded with Nobel prize in 1930. How do we study Blood Groups ? 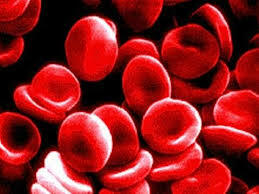 Many scientists and researchers have proposed several theories for the study of Blood Groups. But the most important and common of them is the ABO and RH system. According to this system there are only four types of blood group i.e. A, B, AB and O. This means that you have A type of antigens on the surface of RBC and B type of antibodies in the plasma. This means that you have B type of antigens on the surface of RBC and A type of antibodies in the plasma. This means that you have both A and B type of antigens on the surface of RBC and no A or B antibodies in the plasma. This means that you have no A or B antigens on the surface of RBC and have both A and B antibodies in the plasma. For knowing more about blood groups and also to know more about the RH system subscribe to our newsletter. Hope you liked this article and if you loved this then do share it with your friends and teachers. Thank you for spending your valuable time reading this article.